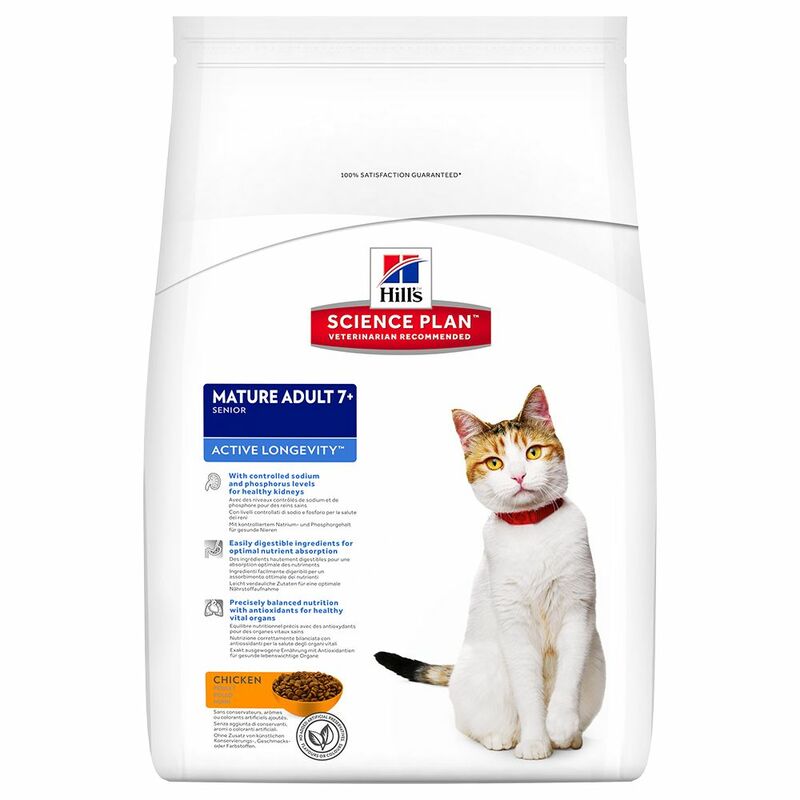 Hills science plan feline mature adult 7 active longevity with chicken has been formulated with clinically proven antioxidants, omega 3s and reduced phosphorus to keep your cat fit and healthy. Containing vitamin e and vitamin c to maintain healthy kidney function, this feed also sustains healthy vital organs with balanced mineral levels and highly digestible ingredients for optimal nutrient absorption. Made with high quality ingredients for great taste. 100% guaranteed.